Summer vacations are in full swing as a gorgeous season thrills us with beautiful days, sights and activities. There is still plenty of time left in the summer to consider a stay at one of our luxury Skaneateles vacation rentals or even plan ahead for the fall in the Finger Lakes with its stunning colors and crisper air. Finger Lakes luxury rentals has brought a whole new meaning to extraordinary vacations that will leave you pampered, spoiled and rested. Our properties not only are superbly maintained but offer privacy, views, space to stretch out and all the comforts you could desire for your vacation time. Doubtless you’ve spent many vacations in cramped, stuffy motels or beautiful Bed & Breakfast locations that limited your privacy. There are certainly many places to stay in the Finger Lakes but none as comfortable as one of our Skaneateles luxury vacation rentals. Luxury does not have to equal highly expensive. Beautiful vacation homes like ours are suitable and affordable for couples, families and large groups. Our properties have many options as far as number of bedrooms, lakefront beaches, a pet-friendly property, and beautiful grounds to enjoy. Taking a vacation in the Finger Lakes region is one of the most enjoyable places you could stay. With the gorgeous lakes in the area, quaint villages around the lakes, five-star restaurants, theater, antiques, unique shops and renowned vineyards, the Finger Lakes has something for everyone. There is nothing quite as perfect as staying in a Finger lakes Luxury Rental here in Skaneateles. Many of our properties are within walking distance or a short 5-minute drive to the Village and the lake. Some of our properties are actually lakefront and include a private beach area and docks. The grounds and lawns are well manicured, landscaped and situated with privacy in mind. Our rental homes are pure works of art. Several have been recently remodeled and two recently built in excellent locations. Each home provides fully functional, exquisite kitchens featuring plenty of light, all appliances, granite countertops and enough space for everyone. Bedrooms and bathrooms are spacious and comfortable. Linens provided. All our properties can be seen on our Properties page where you can view actual photos of the rooms and exterior views. Our Skaneateles vacation rentals are all bright with natural light, spacious for an entire family or group to spread out and relax, are fully furnished with beautiful pieces, and provide you with the luxury you would not find elsewhere. This wonderful home exceeded our expectations. Beautifully furnished and tastefully decorated to make guest feel at home. Anything we needed was there for our use. Nothing was overlooked. Since we traveled with our canine loved one (Loki), the very large fenced in yard was perfect. We spent most of our time there.This was an extended getaway to relax and enjoy outdoor time, with Loki able to be off leash.We’re looking forward to returning in the future for a week long stay. This home will be our choice. Our family enjoyed a week of comfortable elegance with a spectacular view in a peaceful and quiet location. The two level layout provides separate living areas, each with easy access and panoramic views of the lake. Rick and Debbie have provided every comfort in a beautifully decorated property. Close proximity to the village is a plus. The kitchen is spacious and perfectly planned and stocked. From the first cup of coffee on the deck to star gazing at night from the lawn, we loved every minute of every day! Check out the reviews on each property you are interested in and see what others are saying. We look forward to welcoming you to the Finger Lakes and giving you the vacation of a lifetime. 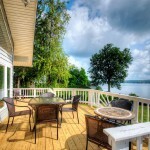 A luxurious Skaneateles vacation rental await you!